ParkControl Pro v0.0.3.6 is the latest build, adding a nice post-update notification pop-up for use in all *future* Single-Click updates. We found the updater so rapid that it absolutely HAD to have a successful update confirmation popup, else users barely noticed what happened. 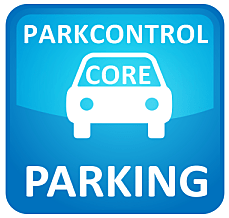 We’re still on schedule to release the v1.0 of ParkControl Pro in a few days. We’d like to thank all those who have purchased ParkControl Pro already, and promise we’ll add more cool things going forward. This is just the beginning of a new product development effort that I can’t elaborate more on, yet. However, YOUR contributions make it all possible, and we have some really awesome things coming down the pipe from R&D. I am talking game changers. We thank YOU for making that possible! On our end, we will be sure to get our software developed in as timely manner as possible, while retaining maximum quality.